Recently, cannabis as a treatment for PTSD has received plenty of press, with both sides of the discussion presenting supporting evidence. But while scientists argue, war veterans and other individuals struggling with post-traumatic stress disorder are sharing their stories, speaking to the relief they have found using cannabis for PTSD. Many people with PTSD have turned to cannabis to treat the often debilitating symptoms of the disorder, which include flashbacks, anxiety, insomnia, mood fluctuation. Given that there is already considerable evidence of cannabis’ ability to treat stress and anxiety, difficulty sleeping, and mood disorders like depression, it isn’t terribly surprising to learn it can address these symptoms in PTSD sufferers. One PTSD patient explained how the mind-slowing effect of cannabis (often viewed as a negative side effect, though temporary) enables him to work through the traumatic feelings that surface during an attack. Another patient said that within a few days of using cannabis, he was able to stop using his highly-addictive, prescribed sedative. A recent study learned 70% of test subjects found their recurrent PTSD nightmares “very much improved or much improved” following treatment with synthetic cannabis. A second study reported that patients noticed improvement of many symptoms, including anxiety and general sleep quality. A third, well-funded study is currently underway to explore the potential of this holistic plant in treating this devastating disorder. John Hopkins University has joined the research team, lending even more legitimacy to the pursuit. Other studies offer scientific reasons for why cannabis seems to be so effective in treating PTSD. 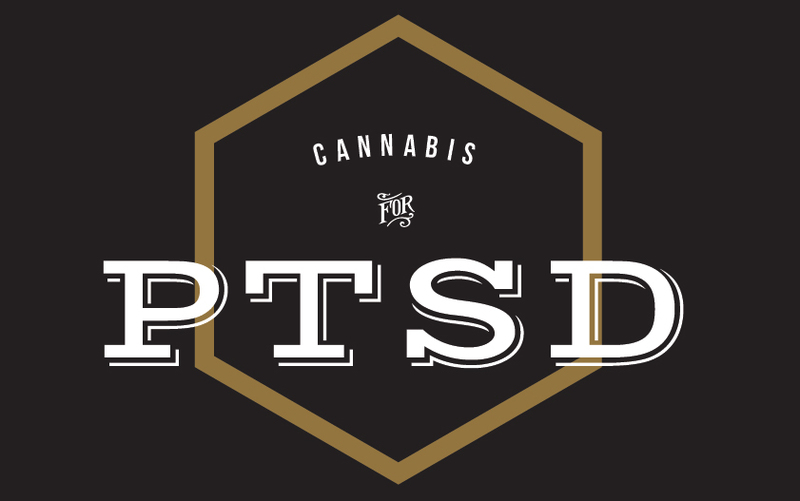 Research has shown that CBD, a non-psychoactive cannabinoid compound, works with the neurotransmitter serotonin, preventing the body’s ability to create “negative associative memories.” Psychoactive THC disrupts “contextual fear memory reconsolidation.” Together, these two potent cannabinoids can act as a PTSD relief powerhouse, with much fewer and less severe side effects than pharmaceuticals. Though cannabis cannot cure PTSD, sufferers use the plant as a supplementary medication to deal with symptoms unaddressed by pharmaceuticals. An Individual can also use multi-purpose cannabis to cut back on the number of medications they are taking, and no longer require separate opioids or narcotics for each symptom they experience. Veterans for Medical Cannabis recommends people with PTSD use low doses of cannabis to treat their symptoms, and specifically suggest relaxing, indica-dominant strains that help lull the mind to sleep, enabling the patient to avoid attacks that come during the night. They advocate vaporizing and oral cannabis (capsules or tinctures) for the best results. The shelves of FARM are stacked with hard-hitting natural medicine that can ease the symptoms of PTSD. Hybrid flower strains, and high CBD strains offer relief from insomnia and depression, and leave users feeling happy and relaxed. CBD honey oils are versatile, easing anxiety and stress without psychoactive side effects, and indica shatters can be vaporized for quick relief from nighttime distress. For more information on how cannabis can help you, contact the FARM staff at our store.